Jojoba is native from semi-desert areas and particularly from northern Mexico, united States (southern Califonia and Arizona), Argentina, Chile and Israel. Our JOJOBA BUTTER is obtained from the jojoba oil, through an innovative process preserving the oils properties. Our Process does not uses any hydrogenation step. 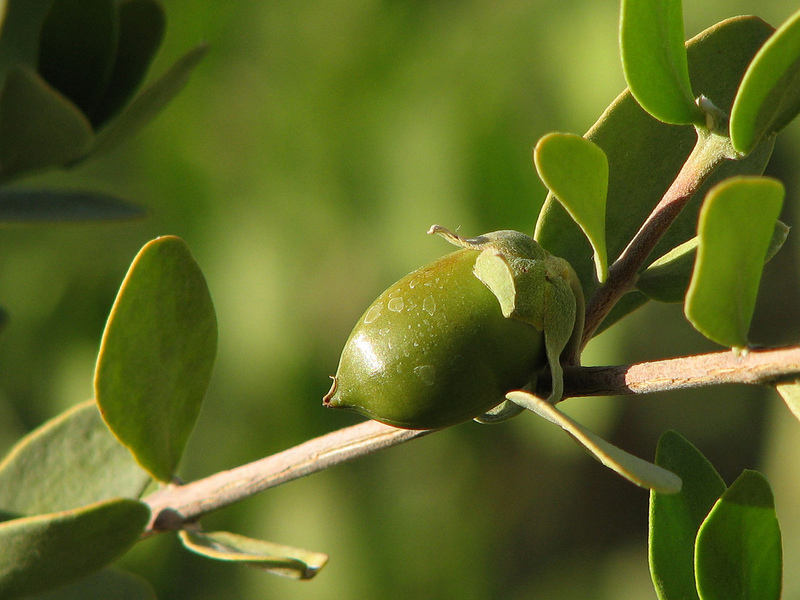 With its unique composition similar to human sebum, the jojoba oil has a specific affinity with the skin and the Hair. Jojoba prevents dehydration and revitalizes the skin. Its unique composition strengthens the hydr-lipidic film and regulates the sebum production. Packaging : White plastic pails, 25 kg net. Shelf Life : 12 months in original unopened packaging.